My mail went missing. In this current article, I wrote about how I've never had mail go missing. Here, now, it happened. The rest of Canada got this winter issue of Embroidery Canada in early January. Mine didn't arrive. I did get the neighbor's mail a couple times. I'll have to have a check-in with our carrier. So I called up the EAC and they were kind enough to resend. (THANK YOU) It arrived at my house VERY fast. There's lots of beautiful work inside this, all revolving around winter. 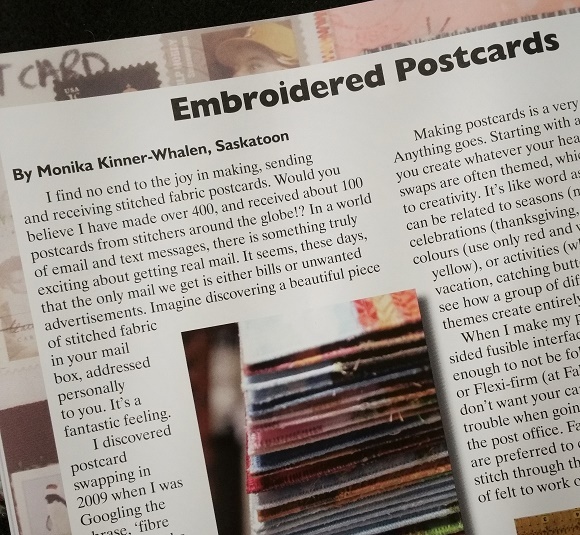 The article I was asked to contribute is on postcards. I just got my resent issue this week! 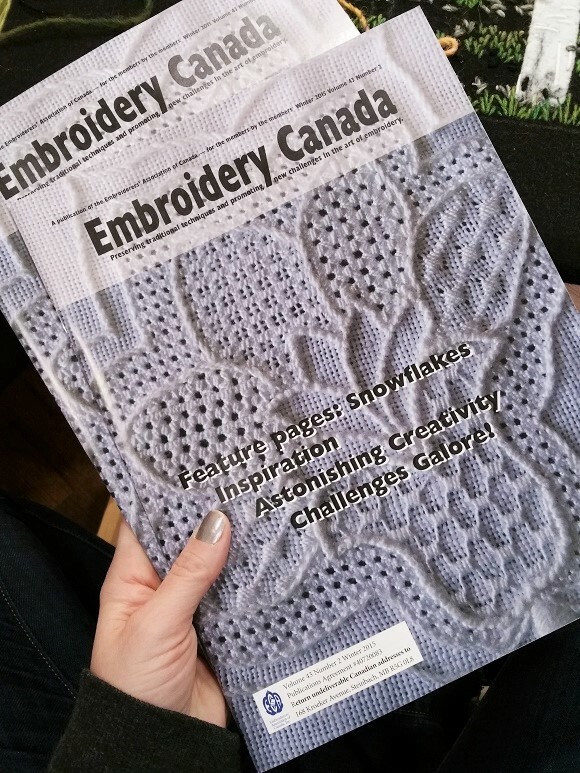 Embroidery Canada is a members publication of the Emrboiderers Association of Canada. Thanks for leading me to JennyPennyPoppy. She's embroidering on felt!! And that's what I'm doing these days, too. So much to learn, and time's going by quickly. Must check out that embroidery group, too. Thank you so much for the mention and link Monika!